News from The Maze Runner panel at Comic-Con announced that director Wes Ball is already developing the sequel The Scorch Trials to shoot later this year as long as the first film does well at the box office this fall. With that news came some concept art of the world we'll see in the new film, and now we have a new poster from across the pond to hype up the first film in the hopeful franchise so fans can actually have a chance at seeing the sequel. It shows Dylan O'Brien ("Teen Wolf") running into the titular maze in question with the veteran trapped boys boys (including Will Poulter) and newly arrived singular girl (Kaya Scodelario). The footage at Comic-Con impressed us - you can see the new trailer here. You down? Update! You can now watch the full trailer for Wes Ball's The Maze Runner here + see even more posters. The Maze Runner marks the feature directorial debut of Wes Ball (of Ruin), working from a script by Noah Oppenheim and James Dashner (who wrote the book on which the film is based). 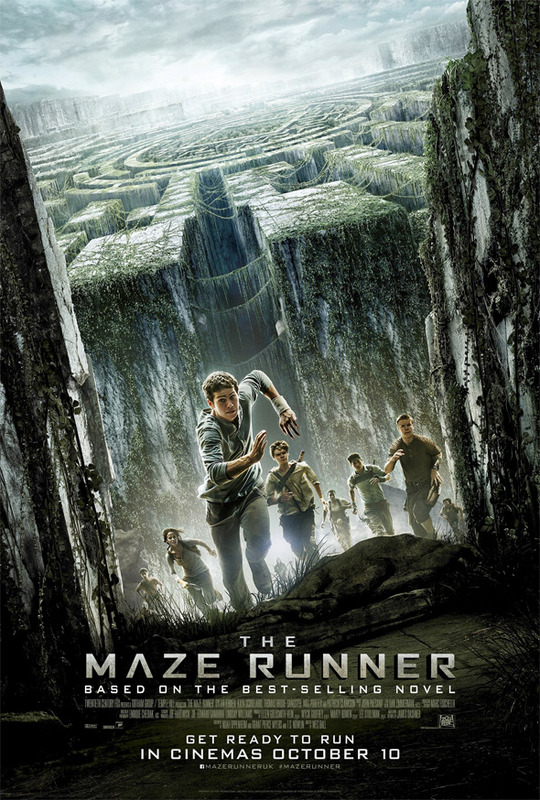 The story follows teen Thomas (Dylan O'Brien), who awakens in a rusty elevator with no memory of who he is, only to learn he's been delivered to the middle of an intricate maze, along with a slew of other boys, who have been trying to find their way out of the ever-changing labyrinth — all while establishing a functioning society in what they call The Glade. Kaya Scodelario, Will Poulter and more star in the film arriving on September 19th, 2014. Looks cool. Although that tagline made me cringe. Diggin' the 1980s adventure vibes. Let me guess, pretty teens running around in a maze?? Predictable and very missable.